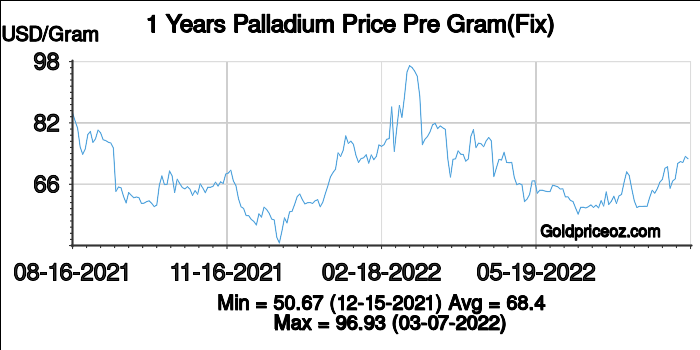 Palladium prices per gram is a free service provided by Palladium Price OZ website, where shows current palladium price(including bid price and ask price) and palladium price history chart(London palladium fixing). 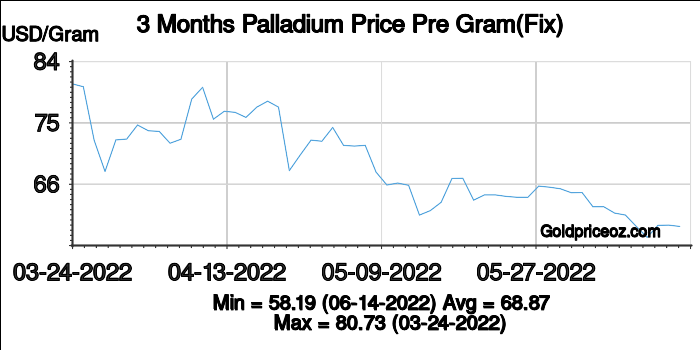 Palladium price per gram today is being updated once every 1 minutes. 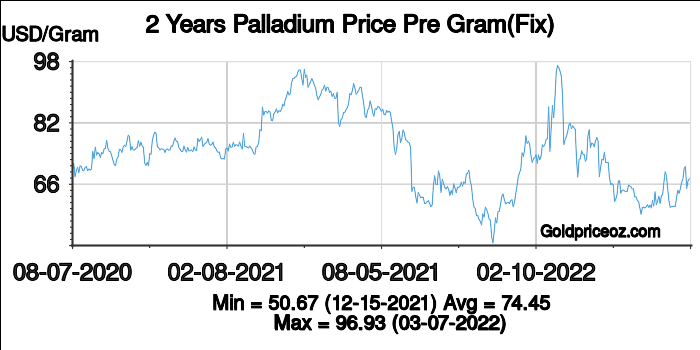 The gram is a metric system unit of mass, and it is also a SI derived unit. 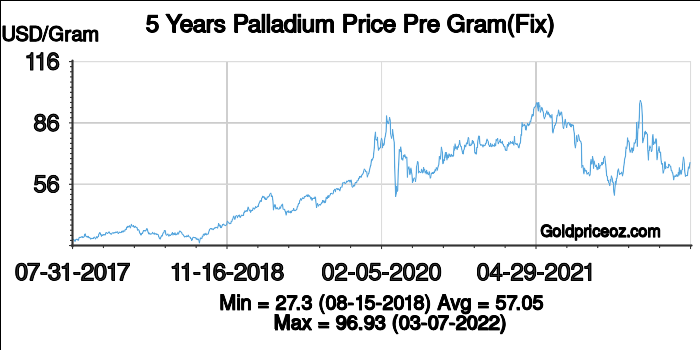 It is defined as "the absolute weight of a volume of pure water equal to the cube of the hundredth part of a meter, and at the temperature of melting ice". The unit symbol for gram is "g".